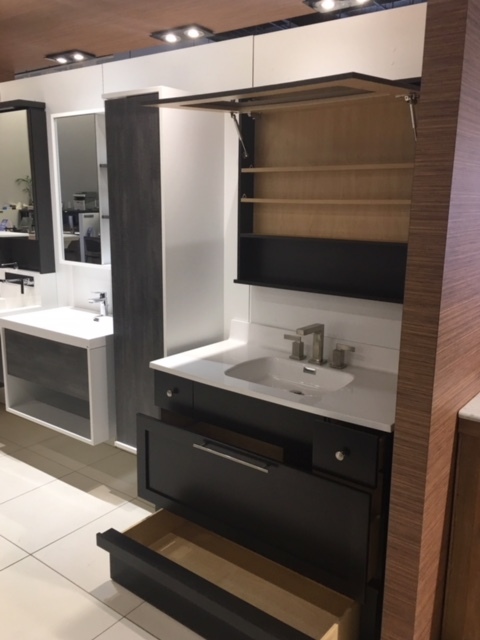 If you are thinking of a bathroom renovation and space is at a premium, this is an attractive vanity and coordinating mirror with a couple of storage secrets! Not one but two hidden storage areas! How clever is this! A secret drawer in the vanity, that looks like it is just the cabinet’s baseboard with a toe kick. Instead it hides a large storage drawer, perfect for a small bathroom or for someone like me with lots of extra items to store. The mirror door also cantilevers upwards to offer even more storage, this is especially perfect if you don’t have room for a medicine cabinet door swing. 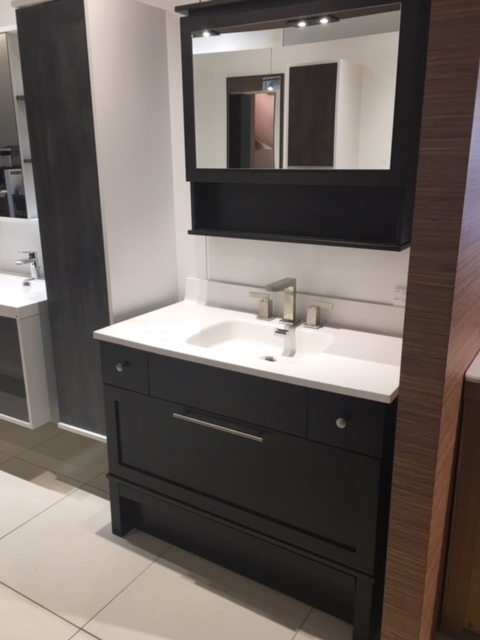 I used the double sink version of this vanity in a recent client bathroom renovation and they are loving the extra storage room. I’m hoping to be able to take some proper photos soon but here’s a little sneak peek of the space. 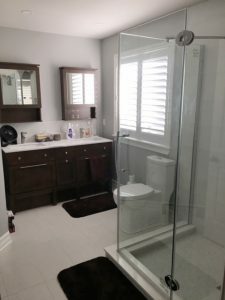 A total refresh from their previous master bath.